With close to 70 years of experience in successful project delivery, the Surbana Jurong Group has grown to become one of the largest Asia-based urban and infrastructure consulting firms. Its global workforce of over 14,500 employees across more than 130 offices are driven by progressive thinking and creative ideas. 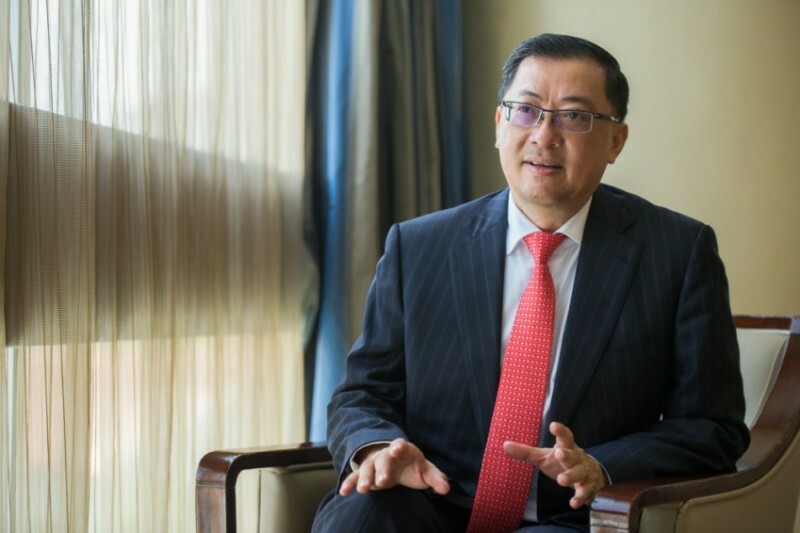 In this interview, Surbana Jurong Group CEO Wong Heang Fine discusses the smart nation initiative in Singapore and explains that the company is ready to share its experience on developing socially, economically and environmentally sustainable cities. With the CFE report and the implementation of the 23 ITMs, Singapore continues with its transformation towards a value-creating economy. How important is it that Singapore maintain that mentality and what are the impacts that you expect from measures such as the built environment ITM in your sector? We are probably the front-runner with some of the ITMs as we started 3.5 years ago by bringing Surbana and Jurong International together, the corporatized technical arms of HDB and JTC respectively. They are one of the largest Singapore technical institutions responsible for HDB townships, JTC industrial estates and infrastructure developments in Singapore. The merger took place in June 2015, and we went on to acquire companies to build technical competency and scale, and to grow organically. Now we are able to offer best-in-class expertise and competency in the urbanization, industrialization and infrastructure domains. Today over 50% of our income comes from overseas, we operate in more than 40 countries and we have 70 nationalities of talent within the Group. We are really demonstrating what the ITM is all about. In the past, over 80% of our income was from Singapore, but today we are global, we work on projects worldwide. Our 2017 fee income was S$1.5 billion compared to when we first merged in 2015, which was about S$350-400 million. We have grown significantly both in terms of numbers and the type of projects that we do. If you look at the S$1.5 billion of consultancy fees, it really equates to about S$39 billion worth of construction work that we consulted in 2017. This figure is much higher than the entire construction volume here in Singapore which is about between S$25 to 30 billion. Home-grown companies with very strong expertise can go to the next level by expanding overseas, acquiring and nurturing the talent base, and then building a market share in-country. In the built environment today in Asia, we are one of the biggest global consultancy firms. We are also probably the only Asia-based company in a consultancy sector that provides multi-disciplinary expertise across the entire value chain. We have professionals ranging from planners, architects, engineers (mechanical & electrical, civil & structural, geotechnical) and even security personnel. For each ITM, the goal is really to encourage home-grown companies like Surbana Jurong, to deepen our base, expand our core capabilities and internationalize our brand, which is what we are doing. You mentioned the need for both hardware and software infrastructure. One of the most ambitious projects of Singapore is the Smart Nation Initiative. What is your opinion on the current state of the smart city initiative at the moment and how much of an example can it be for the rest of the world? Now everybody talks about smart nation but for Singapore, the progression of becoming a smart nation has been ongoing. Our smart nation program is a graduation of the nation’s vision and long-term master plan years ago, integrating new technologies in how we improve lives of residents, work productivity and efficiency. Singapore is exceptional because we are driven by our own needs. First, Singapore has limited land mass, so we make sure that the nation develops in a sustainable manner. Planning is one of the most critical chains in the process for urbanisation and infrastructure development. As cities develop, we need to address the unpredictable nature of community development. Hence, we can never over plan. Surbana Jurong plans with a desired outcome in mind, making the city a liveable one for the present and future generations. You will find that cities develop because of jobs and this creates the demand for housing and commerce and so forth. We plan our public housing estate very carefully and rejuvenation of our public housing is our top priority. It is all about the attention to details, the needs and culture of the people is one of our key focus. We shape lives with high-rise living and making sure different communities live harmoniously together. We are also primary movers of the software. What I mean by software is things like public housing programs. In this regard, the effectiveness of Singapore’s housing program to provide quality living has set a benchmark for many developing countries. And as we all know, the provision of affordable housing for all is one of the key forces to political stability in Singapore. Every country and city is unique, but the basic issue is the same everywhere: to craft policies that enable economic growth and stability, and a good quality of life. In Singapore, we are fortunate because of our small size and our physical constraint has trained us to think differently. This is important because if you look at the ASEAN cities today, they face the same issues as us. There are traffic problems, lots of congestions and the habits of the people are quite different. We have the expertise now to share our know-how with our ASEAN neighbors. Far-sighted, holistic and comprehensive planning should be the guiding planning approach to shaping a socially, economically and environmentally sustainable development. Surbana Jurong has got a lot of experience but it’s fairly new. We spoke about internationalization and acquisitions to provide that one-stop solution. Could you walk us through how you were able to do this? When we first started, Surbana Jurong’s capability was in the urban built environment and we knew we had to beef up our expertise in the infrastructure space. Hence, Surbana Jurong approached SMEC Holdings Limited (formerly known as Snowy Mountains Engineering Corporation) (SMEC) which has a long history and strong track record as they started in 1949. SMEC is an Australia-based firm that provides consulting services on major infrastructure projects around the world. In fact, earlier than us, the company was formed to take on one of the major seven engineering wonders in the world which is the Snowy Mountains Hydroelectric Scheme. The Scheme was a multi-purpose project undertaken between 1949 and 1974. The project brought together over 100,000 workers from 30 countries who constructed 16 major dams, seven power stations, one pumping station, 145 km of tunnels, 80 km of aqueducts and 2,000 km of roads. SMEC also provides engineering consultancy services to major infrastructure projects such hydropower dams, solar power stations, water treatment plants, major highways and metro lines. By combining the two companies, we bring the best of both worlds: a strong urban skillset and very solid infrastructure track record. Do you have any expansion plans to the U.S? What’s next for the company? Surbana Jurong has been transforming rapidly and in the short span of 3.5 years exceeded targets set at the point of merger of Surbana and Jurong in June 2015. Our growth journey is anchored in 3 key pillars – urban, infrastructure and management services via mergers and acquisitions, organic growth and strategic partnerships. Most recently in October 2018, Surbana Jurong forged alliances with leading architectural firms, Canadian-headquartered B+H and Singapore-headquartered SAA, to deepen our architectural expertise and expand our service offerings into new geographical markets such as North America and new growth sectors such as healthcare. By bringing these companies together and with our other member companies, AETOS, KTP, Robert Bird Group, Sino-Sun and SMEC, today we offer multi-disciplinary, yet specialized expertise across the full value chain for clients from various industry sectors in more than 40 countries. As a Group, we can now compete for bigger, global projects; offer end-to-end services, and be in niche, higher-end markets. With our strong track record in the urban environment such as designing transit-oriented development, we are ready to share such experiences with our ASEAN counterparts. In one of our recent projects, we are trying to bring the planning and design know-how to New Clark City, which is designated as the Philippines’ first green and smart metropolis. It will be developed in four phases and is targeted for completion in 2065. Surbana Jurong represents the client’s interest in all aspects of the development’s life cycle, from advising on the business concept and development strategy to monitoring and controlling the implementation process. It also covers areas such as procurement and financial viability. As we export our expertise overseas, it is indeed very exciting for Surbana Jurong to see how we can make a difference in developing cities, shaping and improving people’s lives. How are you including digital technology and innovation? The use of digital technologies is transforming the global built and infrastructure industries. Surbana Jurong started our digitalization journey two years ago to scale up productivity and efficiency. We embrace wider adoption of digital tools in the way we work, leveraging 3D visualisation capabilities such as Building Information Modelling (BIM), Virtual Design & Construction (VDC), etc. The Wisteria & Wisteria Mall, is one fine example where our team used BIM and VDC technologies in the Design for Manufacturing and Assembly (DfMA) process, which resulted in up to 30% of time savings during construction. On the Facilities Management (FM) front, we have been collaborating with our technology partner to develop improved smart Facilities Management solutions based on BIM technology known as BIM:FM, which will increase the productivity of FM managers and bring about cost savings for building owners in terms of their long-term building maintenance and operational cycle. It is equally important to foresee disruptions and create a pipeline of innovative solutions for the future. In collaboration with Nanyang Technological University and National Research Foundation, Surbana Jurong set up the SJ-NTU Corporate Lab, aimed at developing next-generation solutions to alleviate near term urban and infrastructure challenges. The Lab will focus on researches to explore underground storage systems to free up aboveground spaces, sustainable indoor solutions for buildings to improve energy efficiency, and digital technologies to scale up productivity in the built environment.